“Grüß Gott” dear customers, colleagues and friends. 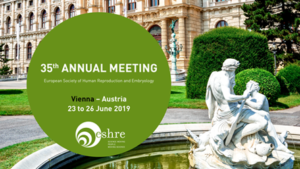 We are pleased to announce our participation in the 35th Annual Meeting of ESHRE from 23 to 26 June 2019 in Vienna. We look forward to welcome you at stand no. C69.